Audemars Piguet watches is a Swiss luxury watches manufacturer that was founded in 1875 by two young men with a passion for fine watch making. Mr. Jules-Louis Audemars & Mr. Edward-Auguste Piguet joined forces to design and produce complicated watches. They chose the beautiful & serene Joux Valley in Switzerland as their base of operations for Audemars Piguet. Mr. Audemars focused on movement design while Mr. Piguet handled the financial & commercial side of the business. 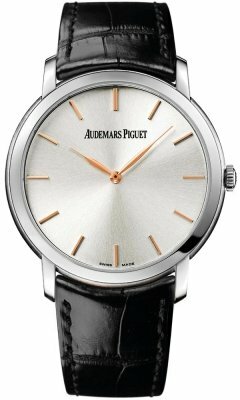 As the years progressed, Audemars Piguet became known for their chiming Repeater Watches. In 1907 the company continues to prosper and expands its factory which now accommodates 70 employees. In the 1920's Audemars Piguet produces the first Jumping Hours complications. In 1933 Jacques-Louis Audemars takes the reigns & breathes new life into the company as the world is coming out of the crippling 1929 stock market crash. In the 1930's Audemars Piguet begins producing chronographs which is a major source of success - but business is hurt by WWII. In 1949, Audemars Piguet participates for the first time in the Basel Fair and Audemars Piguet begins to introduce simple ultra-thin yet elegant AP timepieces in addition to the complications. Some of the most popular and bestselling watches from this dynamic luxury Swiss watch manufacturer, affectionately known as AP, include the Audemars Piguet Royal Oak and Royal Oak Offshore models which incorporate simple automatic watches, chronographs all the way up to tourbillons, minute repeaters, Grande Complications & of course the now famous & award winning Audemars Piguet Carbon Concept. 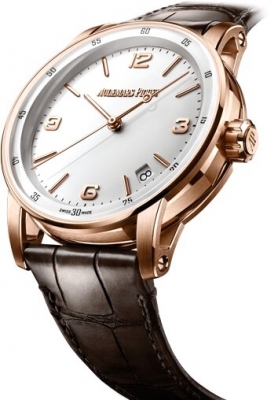 Audemars Piguet has a full line of sporty and dress watches to suit every occasion. 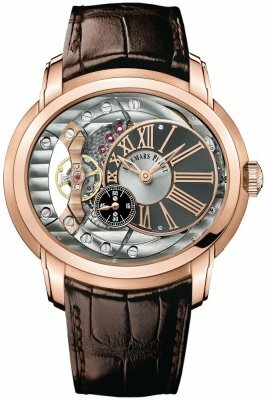 The Audemars Piguet Millenary is another beautiful line that spans between dressy and casual. In 1966 Georges Golay becomes the Managing Director and CEO paving the way to a new era of prosperity and tremendous creativity. 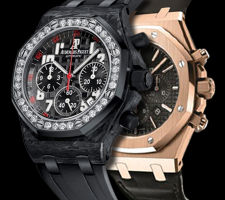 The range of Audemars Piguet products soon earns international success. Audemars Piguet changes the face of fine-watch making, creating the Royal Oak, the first high-end sports watch made of steel, recognizable by its octagonal bezel with eight hexagonal screws- a true revolution in the watch making world. Audemars Piguet introduces the first self-winding ultra-thin AP wristwatch with tourbillon in 1986, the first wristwatch with a second time zone, and the Star Wheel, with its sector hour display on three sapphire discs. In 1992, the Manufacture creates the Audemars Piguet Foundation. Born in the Valle de Joux, the company developed and grew in the midst of wild and unspoiled natural beauty. Deeply attached to these landscapes, the Audemars Piguet Foundation decides to actively contribute to preserving forests throughout the world, and to sensitize younger generations to this issue. Since 1999, Audemars Piguet has been involved in creating eight limited-edition masterpieces in a limited series of twenty. These are known as the Audemars Piguet Tradition of Excellence collection. The first stop on this voyage is the Jules Audemars minute repeater wristwatch with tourbillon and split-second chronograph, made in 950 platinum. In 2002 the production site in Le Locle expands tripling its surface area. 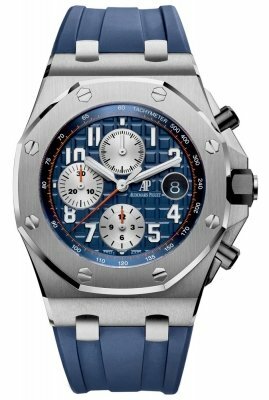 In the years following Audemars Piguet continues to expand at a rapid pace, introducing new styles and models, but as always the Audemars Piguet Royal Oak and Offshore editions remain among their best sellers, staying firm in their commitment to quality watches, while maintaining the independence so cherished by the group. Back in 1972, Audemars Piguet was the type of luxury brand to not just simply bend rules when it came to luxury watchmaking but absolutely break them. In a world where all luxury timepieces followed a strict trend and were always made of gold and never very large in size, AP stepped outside of the box to think and design a luxury watch that was completely different. A very new and modern style was soon created with a bold new daring design. He designed the first modern and avant-garde high-end sports watch, the Audemars Piguet Royal Oak watches, soon to become the brand’s signature watch. Of all the different timepieces in the Audemars Piguet catalogue, the AP Royal Oak is probably the most popular collection. 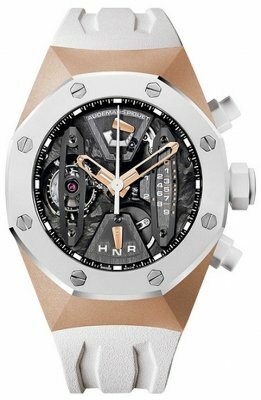 Audemars Piguet also produces several Limited Edition Audemars Piguet watches such as the Royal Oak Grand Prix Chronograph and the Audemars Piguet Royal Oak Offshore have sprouted forth from the roots of the original Royal Oak design. 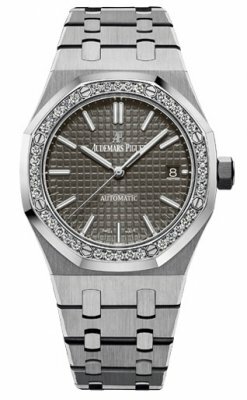 A significant number of other limited edition and rare AP watches are also in circulation such as the Audemars Piguet Diamond Punk, a Haute Joaillerie watch with over 7848 snow set diamonds and 56 pavé diamond facets on its cuff bracelet. Another unique limited edition watch is the Audemars Piguet Millenary Pianoforte with its unique piano dial and the out of this world Grand Piano watch box for exquisite presentation. Other Limited Edition AP watches include yet another diamond blazoned watch, the 18 carat gold Audemars Piguet Millenary Automatic MORITA which has only 200 pieces worldwide. The price of AP watches depends largely on the model and varies depending on the type of movement and metal used in its construction. Another factor that can easily affect Audemars watch prices is the amount of them in circulation. The more rare and limited the edition, the more demand there is for that watch, the more it would usually cost. However, regardless of their listed prices, at Prestige Time, you can rest assured that no matter which models we carry, our watches will be priced competitively and selling for substantially less than the official Audemars Piguet Price List and in new and never been worn condition.